4 Simple Recipes For Sweet, Protein-Rich Treats! 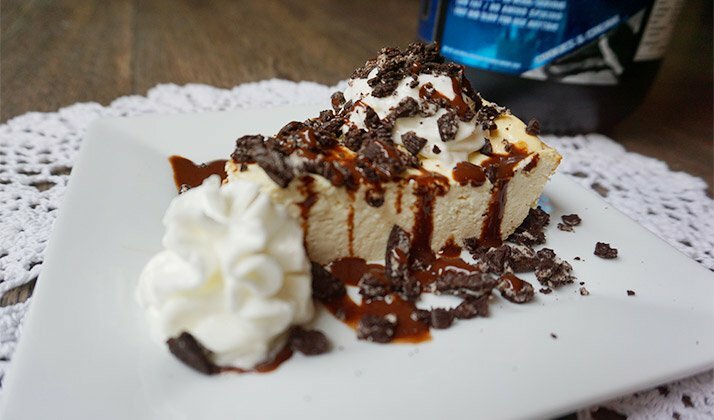 Cheesecake, cookies, and chocolate bars, oh my! Skip the packaged stuff on the shelf and whip up these homemade, high-protein treats instead. Waiting for a once-a-week cheat meal is no way to live. I like to top off hard gym sessions with a well-earned, good-for-you treat! These desserts are chock-full of quality protein to help feed your muscle while satisfying your sweet tooth. Splurge smart, tickle your taste buds, and crush your fitness goals! This creamy dessert combines two guilty pleasures: cheesecake and cookies! Have your cake (and cookies), and eat them too! This yummy protein-rich recipe is sure to leave your sweet tooth completely satisfied while fitting your macros with ease. 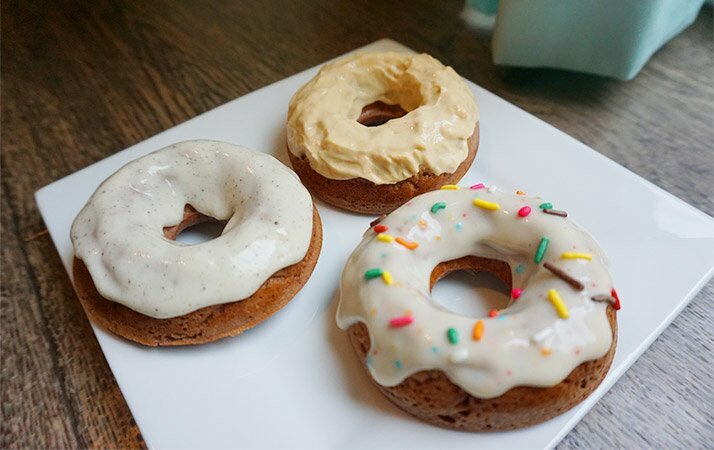 Kiss Dunkin' goodbye and grab one of these tasty baked doughnuts instead. These cakey treats are the perfect consistency—not overly dense or dry. They make for a great start to your morning or any part of your day. (Afternoon snack, anyone?) Get creative and add bright, flavorful toppings. Remember, you eat with your eyes first! 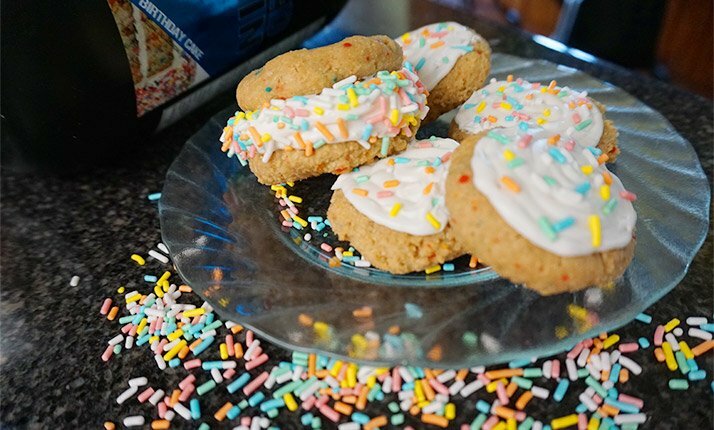 These soft-baked cookies are bursting with birthday cake flavor! Even better, they make a great portable protein snack. Stick a few of them in a Ziploc bag and enjoy them as a post-workout treat. The best part: You can scarf a few down even when it's not your birthday! 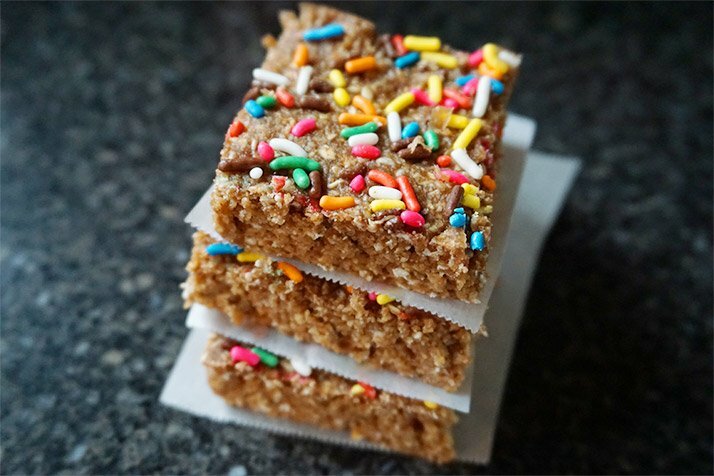 These fun bars are a perfect pre-workout snack! They fully capture the decadence of the classic chocolate/peanut butter combo without packing on the usual fat. Full of flavor and protein, these bars will help satisfy your sweet cravings without the guilt. Morgan Self is an EVL athlete, and owner and coach at SelfMadeFit.net.